Apple Music offers a free trial where you can familiarize yourself with the service. 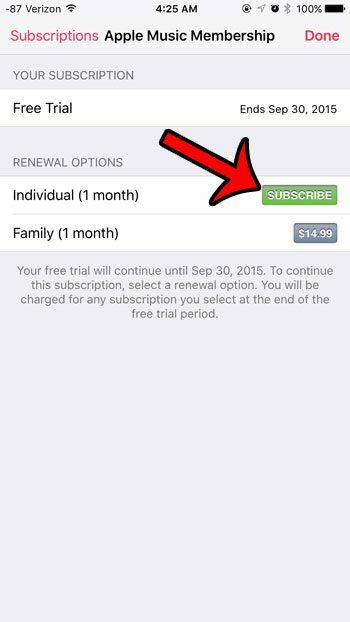 Once the trial is over, however, then you will need to pay for a subscription to continue using it. 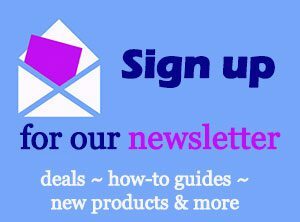 There are individual and family membership plans from which you can choose. 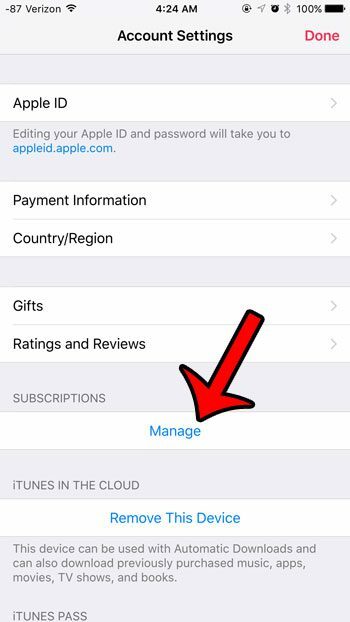 If you are unsure about which subscription option you are currently using, or if you wish to switch between the plan options, then our guide below will show you where to go on your iPhone to do so. 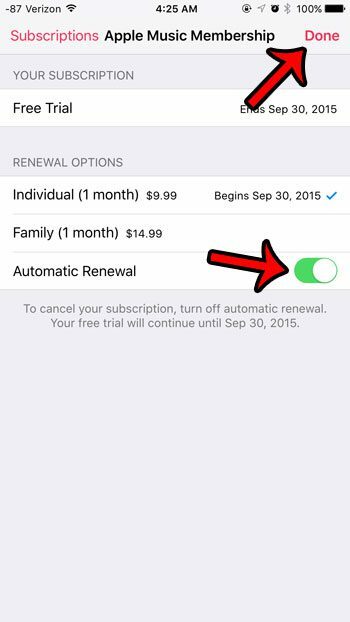 You can even turn the automatic renewal option on or off from this same menu, which could help prevent you from being charged if you do not wish to renew your subscription. 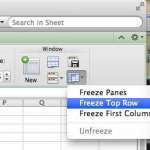 The steps in this guide were performed on an iPhone 6 Plus, in iOS 9. 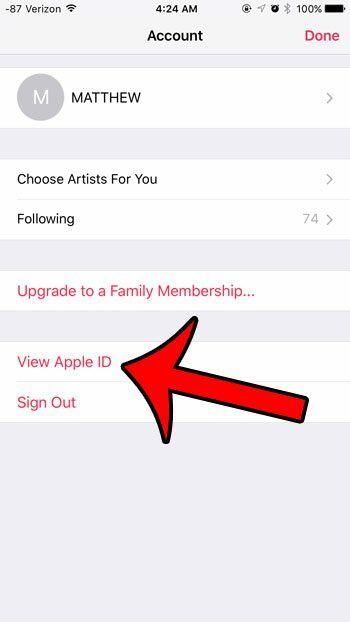 Note that if you signed up for Apple Music and got a free trial, then it is very likely that automatic renewal is turned on. 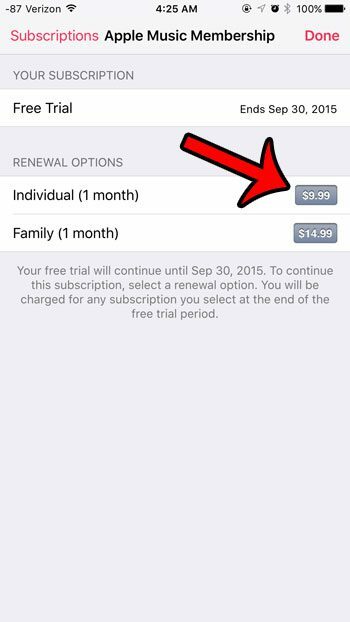 So even if you are not intending to switch to an individual or family subscription from your current free trial, it is probably a good idea to visit this menu and confirm that the automatic renewal setting is correct. 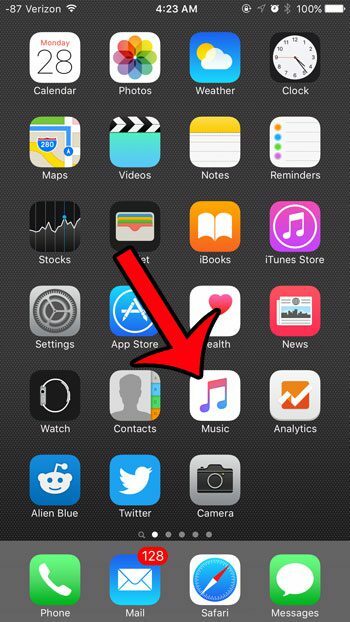 Tap your account icon at the top-left corner of the screen. 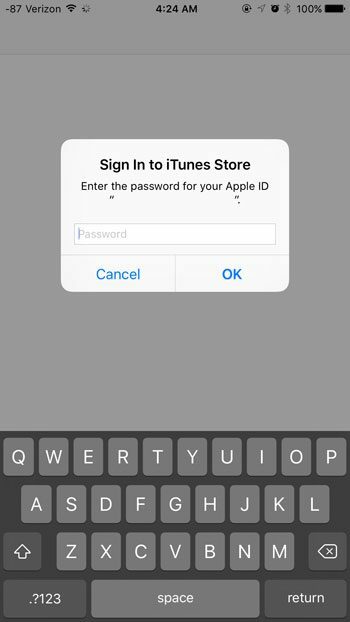 Enter the password for your Apple ID. 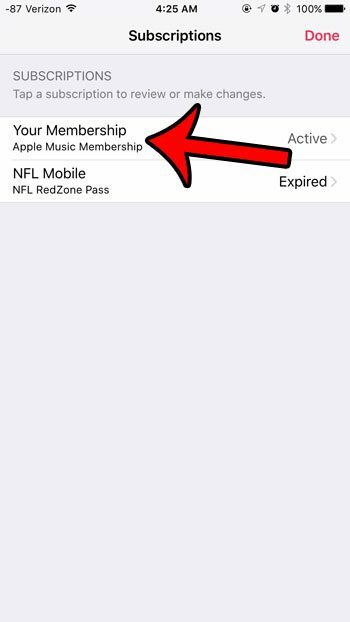 Select the Apple Music Membership option. Select your preferred Renewal option. 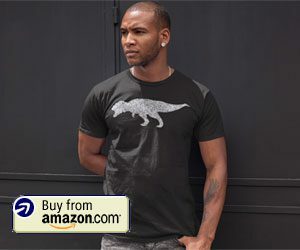 Tap the green Subscribe button. Tap the Confirm button to confirm your subscription. 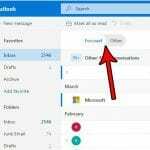 Confirm that your Automatic Renewal setting is correct. 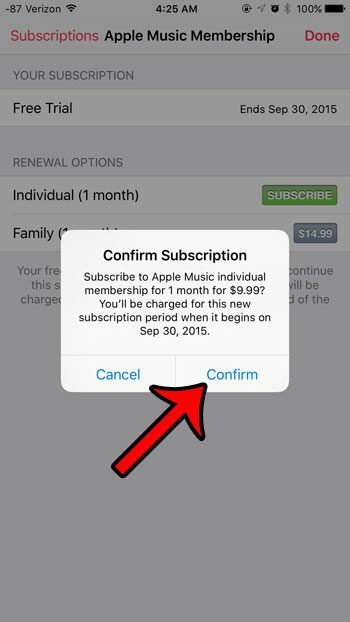 If there is green shading around the button, then your Apple Music subscription is set up to renew automatically. 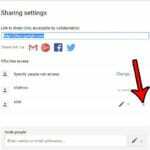 Automatic Renewal is turned on in the picture below. Tap the Done button at the top-right corner of this screen when you are finished. 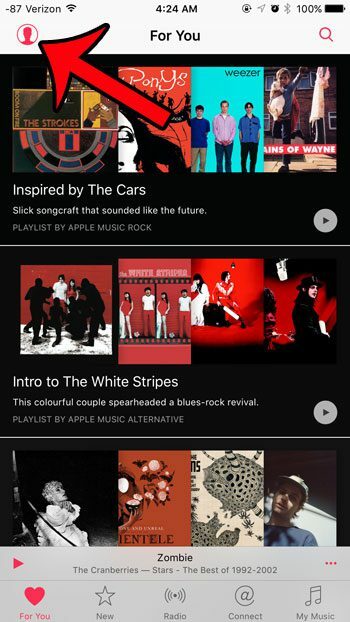 Are you just getting started with Apple Music? Learn how to create a playlist and start customizing the music that you listen to through the Apple Music service.